TalkSPORT pundit Tony Cascarino has said that the potential departure of Eden Hazard from Chelsea could leave a huge void which can be compared to that of Arsenal after the sale of Thierry Henry. The Belgium international currently has 14 months remaining on his present deal with the Blues and reports indicate that the club are increasingly considering his sale amid the ongoing contract standoff. 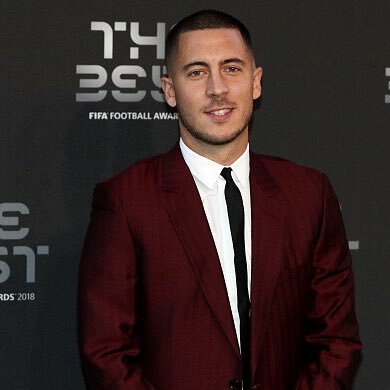 Speaking to TalkSPORT, Cascarino stressed that Hazard remains hugely influential to the proceedings at the west London side and they may find it difficult to replace him, should he make way from the club, he told: “It will be as big a loss to a team as Thierry Henry was when he left to go to Barcelona. He [Hazard] is up there with the very best. Hazard has contributed to 49 percent of the club’s goals during the ongoing Premier League campaign and that has helped the Blues stay within the top four places, although they have played more games than Manchester United and Arsenal. At present, it is quite clear that Real Madrid are favourites to pursue the Belgian and reports have indicated that an agreement should be finalised by the end of the season. Chelsea are deemed to be after more than £100m for Hazard, but Los Blancos remain confident of agreeing on a fee of around £60m, considering the Blues could lose the attacker on a Bosman at the end of next season.